Indexes are needed to organize documents that reside within a file folder. 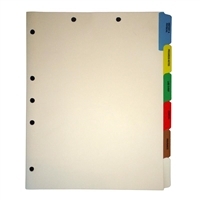 Chart dividers sets are commonly used sets of dividers used in many offices around the country. They include the most common vitals needed inside the chart.